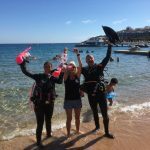 Congrats to Alex en Melissa who became PADI Open water Scuba Instructors. Congrats to Dave van Zeijst who became Trimix Diver. Congrats to Henk Nachtegaal, Ray Wijshake, Hylke Salverda en Rick van Groningen who became PADI Divemasters. Congrats to Jochem Buizert en Bjorn van Reeth, who became PADI Open Water Scuba Instructor. Congrats to Ruud Hofland and Gerard van Moorsel, who became TEC 40 Divers and congrats to Jochem Buizert, Melanie, Alex Strybosch and Bjorn van Reeth from Belgium, who became EFR Instructor. Congrats to Jake Mc.Arthur from America and Yuku Someya from Japan who became Open Water Scuba Instructors and to Jelle Effting who became OWSI and followed the MSDT Program. Congrats to Yahja M. Khiry and Nancy Abd el Wahab, who became Adaptive Technicques Specialty Instructors. Congrats to Serge Smaling who became TEC Trimix Diver. Congrats to Jack P. Dykes who became Drysuit Specialty Instructor. 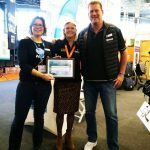 Congrats to Annelies Posthuma, Edwin Dusoswa, Koos van Leeuwen, Joshua Cohen, Alice Tutuhatunewa, George van der Heijden and Shirley Butter who became Adaptive Techniques Specialty Instructors. Congrats to Martin Sekel who became PADI Sidemount Instructor and to Jean Pierre who became TEC 40-45 Diver and to Jos Noordhuis who became TEC Sidemount Diver. Congrats to Arzu Tucler en Yvette Molenman who became Open water Scuba Instructors and succeeded the MSDT Program. Congrat to Robert, Harriet and Melissa who becayme EFR Instructor. 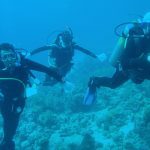 Congrats to Michel and Helio who became PADI Adaptive Techniques Instructors. Congrats to George vd Heijden who became Open water Scuba Instructor. Congrats to Yette Molenman and Marc Kouwenberg who became EFR Instructors. Congrats to Dave van Zeijst who became TEC Trimix Blender Instructor and to George van der Heijden who became Sidemount Instructor. Congrats to Josse de Schrijver who became Open water Scuba Instructor and succeeded the Instructor Specialties, to Moaaz Abdel Azeem who became OWSI and to Ahmed Medhad who became PADI Divemaster. Congrats to Karim Rezeka and James Wilkinson who became Adaptive Techniques Instructors. 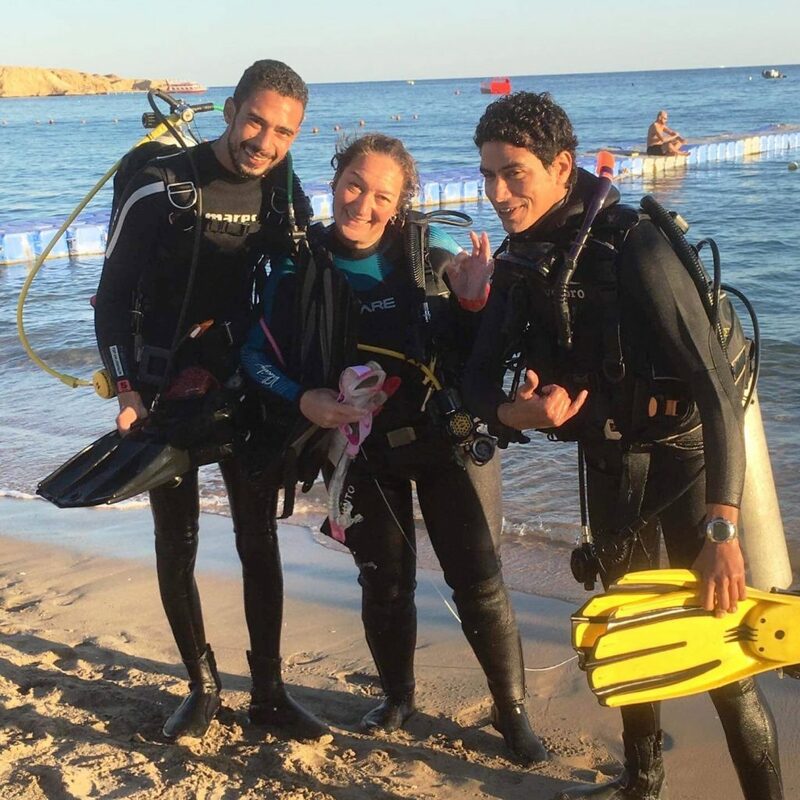 Congrats to Osama el Saka who became Sidemount Instructor, to Alice Tutuhatunewa and Karim Hossni who became Open water Scuba Instructor and succeeded the Instructor Specialties. 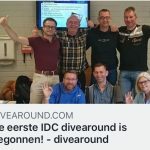 Congrats to Arzu Guler who became Assistent Instructor and EFRI, to George van de Heijden woh became EFRI, to Mark Al who became IDC Staff Instructor and to Harry Vrijburg who became PADI Divemaster. Congrats to Erik Spiekerman who became Specialty Instructor Self Reliant Diver, to Ranko Mikulic, Pim Klingens and Aad van Mullem who became Eregency O2 Provider Instructors. Congrats to Erik van Herwijnen who became PADI Divemaster and to Jean Pierre Hillary who became PADI Open Water Scuba Instructor and followd the MSDT Program. Congrats to Kai-Arne, Justin Pennock, Sander Wildschut and Pim Klingens who became OWSI, to Bas Vrijburg and to Edwin Dusoswa who became Specialty Instructor Deep Diving. Congrats to Ranko Mikulic and Edwin Dusoswa who became OWSI and Specialty Instructor, to Steven Elfrink who became Specialty Instructor Deep, Drift and U/W Navigation. Congrats to Arzu Guler who became Divemaster, to Carola vd Vlist who became IDC Staff Instructor and to Cleo Dubbelaar who reactivated her PADI OWSI Status. Congrats to Irene Huertas, Sander Wildschut, Kai-Arne Poot, Anneloes Lips, Berry bij ’t Vuur and Justin Pennock, Marcel, Elaine, Klaaske, Ewout, Peter, Pieter and Eric who became EFRI Instructeur. Congrats to Rick van Dinter who became Open Water Scuba Instructor. Congrats to Arthur who became TEC 45-50 and TEC full Trimix Diver. Congrats to Mark Al and Charles Bosma who became RNLI Sea Survival Instructor, to Berry van ’t Vuur and Edwin Dusoswa, who became EFRI.